They all love to race in the GT2 Class of the ALMS, don’t they, these GT drivers? Robin Liddell gets a chance to return to the ALMS this Saturday, at Portland, replacing Klaus Graf at Alex Job Racing, Graf being unavailable owing to “scheduling conflicts”. Liddell will partner usual AJR racer Mike Rockenfeller. 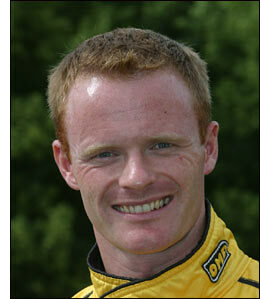 Liddell is a winner at Portland already – in 2004, in the Intersport LMP2 Lola. He finished fourth there last year, in GT2, in the factory Panoz, an event in which the big V8s were struggling for straight line speed against the Porsches. Rockenfeller and Graf have scored one win this year, at Houston, but seemed likely to finish better than their eventual fourth at last Saturday’s event at Salt Lake City. Rockenfeller drove a blinding opening stint. 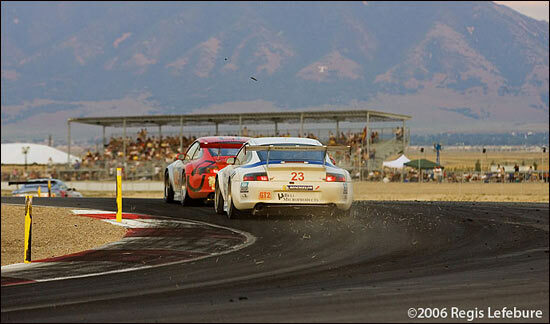 Here's the late-race GT2 action at Miller Motorsports Park.